CarGurus has 3,671 nationwide Range Rover Evoque listings starting at $14,000. The 2013 Land Rover Range Rover Evoque arrives on dealership floors with a number of changes from the previous year’s debut model. The changes from 2012 include a revision of the front grille and including park assist as a standard feature for all trims. 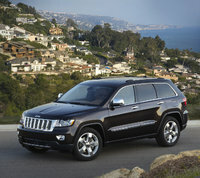 The biggest change, however, is the addition of a third, less expensive trim level. Land Rover offers the 4-wheel-drive Evoque in two body styles—3-door coupe and 5-door hatchback—and three trim levels: Pure (new for 2013), Prestige (available only in hatchback) and Dynamic. All Evoque trims come with a 2.0-liter turbocharged inline 4-cylinder engine paired with a 6-speed transmission with Drive Select that makes 240 hp and 251 lb-ft of torque. Running on regular gasoline, the Evoque is rated at 18 mpg city/28 highway. Beginning with the Pure trim for both coupe and hatchback, all 2013 Land Rover Range Rover Evoques come standard with air conditioning, cruise control, push-button start, Oxford leather-wrapped steering wheel, leather seating surfaces, power driver’s and front passenger seats with lumbar support, a 380-watt Meridian sound system, heated power-folding exterior mirrors, automatic halogen headlights, fixed panoramic sunroof and 19-inch sparkle-finish aluminum alloy wheels. The Prestige trim comes equipped from the factory with everything the Pure trim has, but adds an HDD navigation system with an 8-inch touchscreen display, 17-speaker 825-watt Meridian Surround Sound system, passive keyless entry, adaptive xenon HID with LED headlights, front fog lights, a surround view camera system with towing assist and power liftgate. Finally, the Dynamic trim for both and coupe and hatchback comes with all the standard features listed and adds perforated grained leather seating surfaces, along with more aggressive exterior styling cues, such as unique bumpers, sills, front grille and tailpipes. 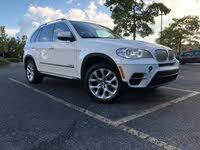 Two additional 20-inch wheel styles are available as options for the Dynamic trim: 20-inch sparkle finish aluminum alloy wheels and 20-inch shadow chrome alloy wheels. The 2013 Land Rover Range Rover Evoque features several safety features, including an airbag system with driver and passenger airbags, knee airbags, side curtain and thorax airbags, an antilock braking system, hill descent control, hill start assist, a rear-view camera and tire pressure monitoring system. Current owners of the 2013 Land Rover Range Rover Evoque note how responsive the sporty small SUV is despite having only a 4-cylinder engine. While the Evoque suffers little in the way of body roll and grips the road well when cornering, owner reviews state that its steering isn't as responsive as they'd like, making it somewhat of a battle to drive over twisty roads or terrain. 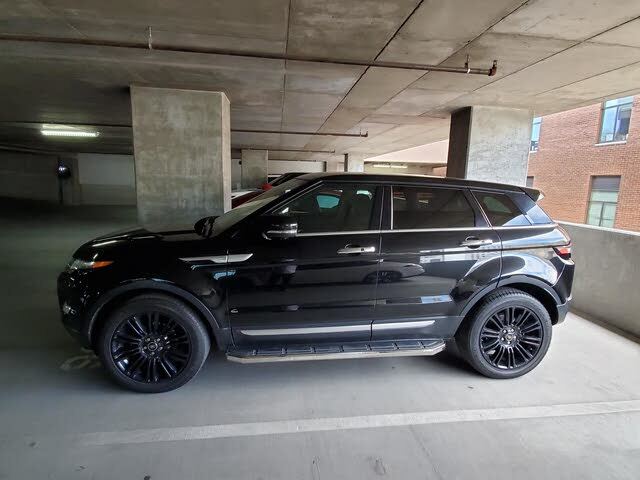 The 2013 Land Rover Range Rover Evoque is a sporty crossover SUV that finds itself in the same market niche as the Audi Q5, Infiniti EX35 and Volvo XC60. Luxurious but pricey, the Evoque looks to gain more market share with the debut of the less expensive Pure trim. With dramatic styling cues, the Evoque is slightly underpowered compared to its competitors, but its dynamic look may attract new buyers. What's your take on the 2013 Land Rover Range Rover Evoque? Users ranked 2013 Land Rover Range Rover Evoque against other cars which they drove/owned. Each ranking was based on 9 categories. Here is the summary of top rankings. Have you driven a 2013 Land Rover Range Rover Evoque? When I start the engine 2 beeps sound - but not every time I start it.... it sounds like a warning but nothing on screen. Any idea? 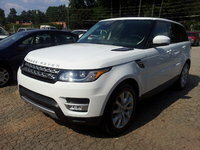 I am importing a Range Rover Evoque 2012 or 2013 from US to Canada. In facilitate importation this is a requirement. What is involved and the cost?